'Did you know – globally, the world is losing 18.7 million acres of forests every year – equivalent to 27 soccer fields every minute! This loss is driven by demand for forest-related products like timber, pulp, paper, and rubber, as well as clearing forests for soybean and palm oil plantations. Our needs for these products is only expected to grow along with accelerated economic development and increase in population. The time has come that we meet our needs in a responsible way, while also ensuring that we protect, conserve and restore our forests – for the benefit of people, wildlife and millions of communities who depend on them. You can help change the story of our vanishing forests by supporting FSC certification. Everyone – from a forest owner to manufacturer, brand or company, and consumer – is a critical link in this chain and has a role to play. Forest Stewardship Council promotes the sustainable management of forests by setting standards that are environmentally responsible, socially beneficial and economically viable. 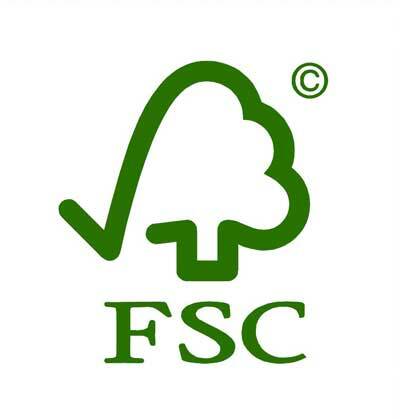 When any wood or paper product bears the FSC label, it means that its raw material came from a responsibly managed forest, and all the companies in its supply chain adhered to the highest standards of sustainability while producing it. In this way, FSC certification helps keep forests alive and thriving, while also providing sustainable and responsible choices of forest products to manufacturers, brands, and consumers. FSC is a global, multi-stakeholder organisation, represented by NGOs and businesses. It runs a global certification system with two key components - Forest Management and Chain of Custody. WWF, along with other organisations helped create the Forest Stewardship Council in 1993 as a non-governmental, independent and international forest certification scheme that aimed to address deforestation and environment degradation. Today, more than 195 Million hectares of global forests are FSC certified across 84 countries. By becoming FSC certified, manufacturers can build resilient supply chains, and reduce their regulatory risks, improve brand image and get access to global markets - all while helping to take care of forests around the world. The brand's commitment to building a "deforestation-free supply chain" has the power to influence many players in their industry! By pledging to source raw material responsibly, brands can encourage thousands of others connected to your operations. Consumer choices have the power to change production patterns and create demand for responsibly sourced forest products. By exercising their vote, people can help transform the global market for forest products by choosing FSC certified products.